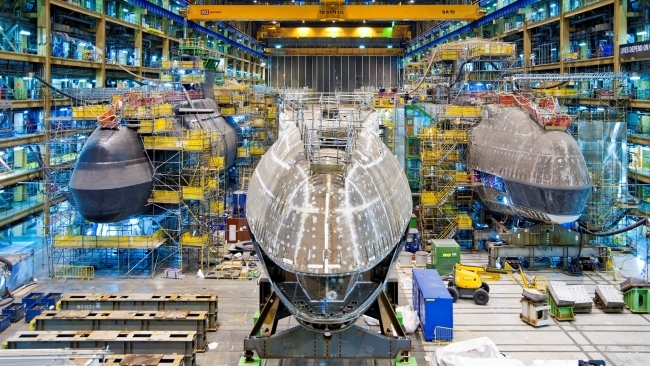 BAE Systems has been awarded a £1.5bn contract for delivery of the seventh Astute class submarine and a further £900m for the next phase of the Dreadnought submarine programme. The Secretary of State for Defence, The Right Honourable Gavin Williamson, announced the contracts during a visit to the company’s submarine site in Barrow-in-Furness, Cumbria. Cliff Robson, BAE Systems Submarines Managing Director, added: “Securing this latest funding for our submarines programmes is excellent news for BAE Systems and the 8,700 people in our Submarines business, as well as our local community in Barrow and the thousands of people across our UK supply chain who help deliver these nationally important programmes for the Royal Navy.